How do you acquire the site? Do you acquire it so the margin scheme applies when it’s time to sell? Is it possible to minimise GST? What if the vendor does something to the site, such as knock down an old house? What are the GST implications? What sort of structure is used? JV or taxable partnership? What are the GST implications? Incurring the costs, claiming the credits - do you have cash flow efficient strategies around claiming ITCs? This webinar is suitable for accountants and lawyers advising on GST – Australia wide. This webinar is for practitioners with some knowledge in this area and looking to improve their knowledge. Fletch is a partner in the firm’s commercial team. He assists clients by providing tax advice across a range of commercial issues. He is also responsible for managing a significant volume of tax and customs disputes. His experience includes drafting notices of objection, private ruling applications, AAT appeals and litigation in the Federal Court. His technical specialisations include income tax (including international tax and residency issues), GST, payroll tax, land tax, stamp duty and customs duties. 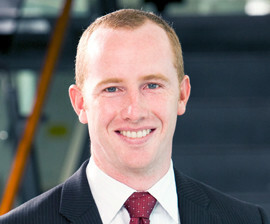 Before joining Cooper Grace Ward, Fletch was a tax lawyer in Baker & McKenzie’s Sydney office. Prior to that, Fletch worked for a Big 4 accounting firm in the UK and then China.